The one true moral responsibility of literature is to strengthen our imaginative sympathy for other people. 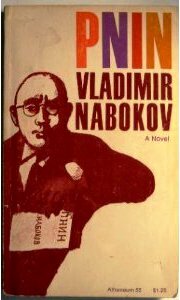 Nabokov’s exploration of the deep humanity within the seemingly comic figure of Professor Timofrey Pnin is the most perfect example in English. The story is episodic, but the writing is flawless. Nabokov’s books are full of arrogant misanthropes. So look here for Victor’s glass bowl and “the shining road” on which Pnin escapes into Pale Fire, where Nabokov makes him the head of a thriving Russian department.